A necessary first step to take before you buy or sell a Scotch Plains home is to learn about local real estate market trends. Here’s what you need to know this month. 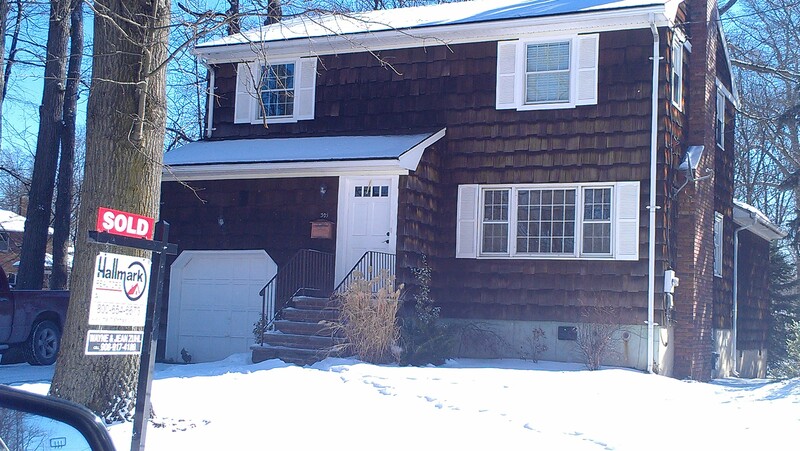 Inventory: There are currently 148 single family homes offered for sale in Scotch Plains. While the inventory is dropping since the summer peak, there are still plenty of homes to sell. In November of 2013, there were 119 homes actively listed. The high inventory this year isn’t because homes aren’t selling – in fact, homes are selling quite quickly. 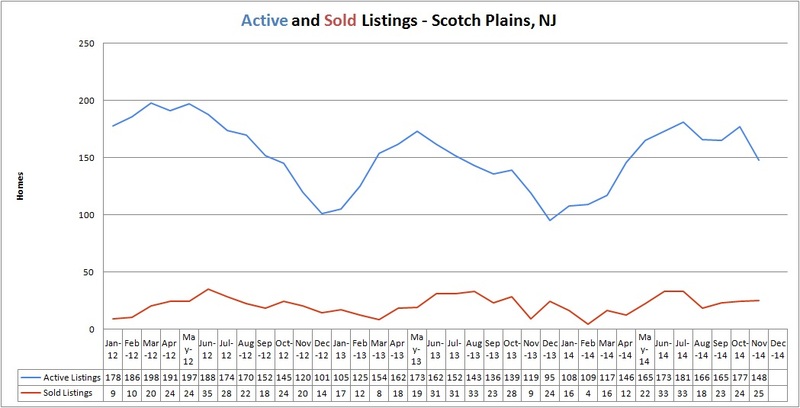 There were 25 sales in Scotch Plains in November, nearly 3 times as many as there were in November of 2013. The high inventory this year is because some homeowners who have postponing selling for a few years are finally feeling confident that their home values have returned. 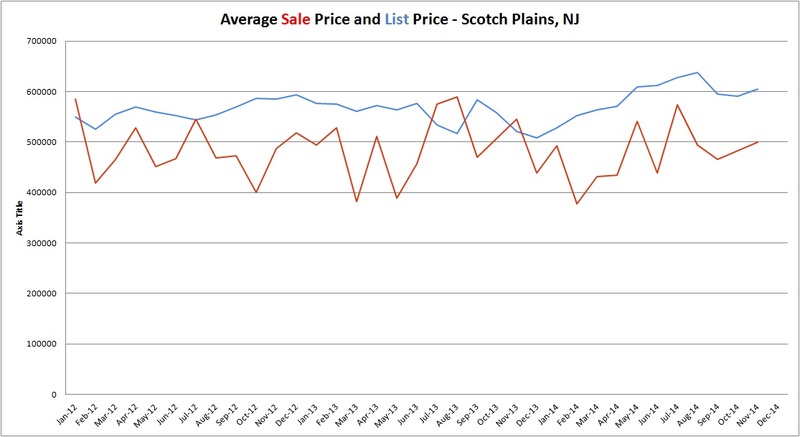 Prices: While prices continue to fluctuate in Scotch Plains, the trend is definitely upward. 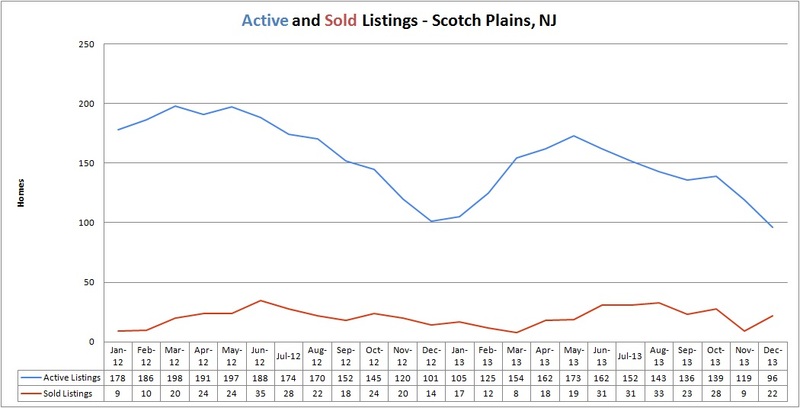 The average sale price in Scotch Plains in November was $499,324, about 4.5% higher than the 12 month average of $478,000. The average list price in November was $605,318, also about 4.5% higher than the 12 month average. A corresponding increase in List Price is a direct result of increased homeowner confidence in home values. 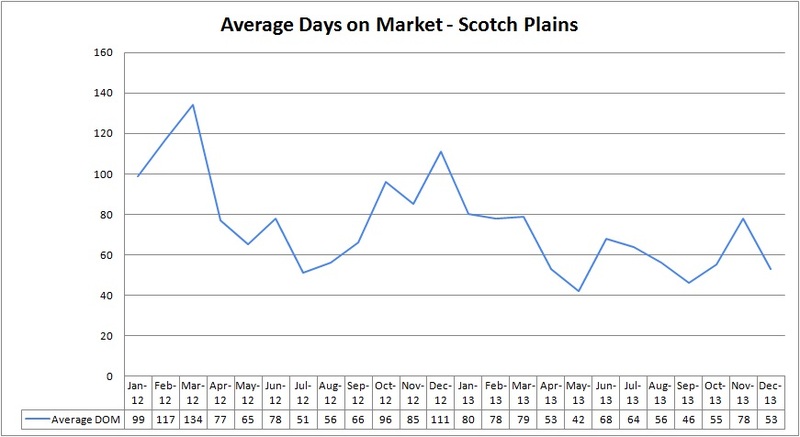 Days on Market: Homes continue to sell quickly in Scotch Plains and there is no evience that the slow Days on Market of 2012 will return. The average home the sold in Scotch Plains in November was sold after 59 days, slightly faster than the 12 month average of 62 days and significantly faster than the 2012 average of 86 days. What this means to you: If you’re interested in selling your Scotch Plains home, your first step is a Comparative Market Analysis, which of course we are happy to provide free of cost or obligation. With a Comparative Market Analysis, we will show you what your property will likely sell for and offer suggestions to improve the value and sell it as quickly as possible. If you’re interested in purchasing a Scotch Plains home, your first step is a mortgage pre-qualificiation. We’re happy to help connect you with a mortgage professional and begin helping you to find your new home. Feel free to peruse the homes offered for sale at WayneZuhl.com and let us know when you’re ready to start touring homes! Welcome to the Neighborhood! 309 Oak Ridge Road is SOLD! The sale of 309 Oak Ridge Road, Clark. This lovely 3 bedroom, 1.1 bath colonial features a beautiful new kitchen, fireplace and wood burning stove, cathedral ceilings in the family, a deck and much, much more. 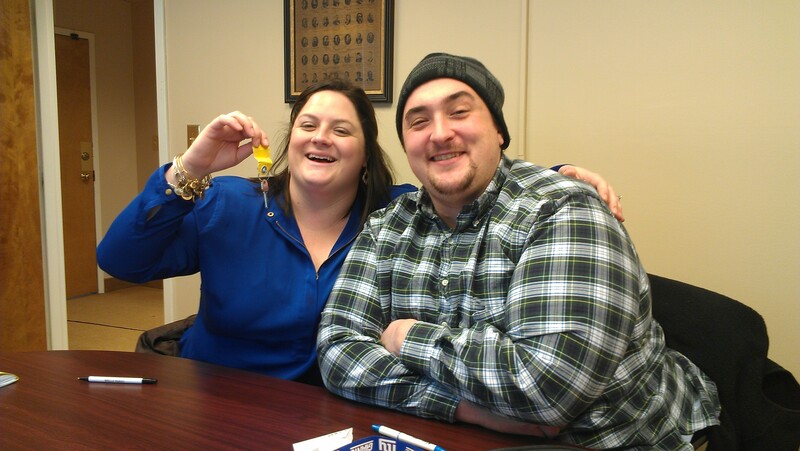 We hope that the new owners have a lifetime of enjoyment there as they grow from a young couple to a family. This is more than a house, it is their home. With 246 single family homes for sale in Union, there’s something for everyone. Prices range from to $84,900 $1,250,000 with property sizes from condos to 40 acre luxury properties. Inventory has dropped since the peak of spring, 2012, and has stayed relatively low for all of 2013. With lower inventory, prices tend to increase and that’s exactly what we’re seeing. The average sale price of a home in Union in December was $270,806, well above the average 2013 sale price of $257,398 and even higher than the average 2012 sale price of $234,427. Sales are still sluggish compared to the rest of Union County. 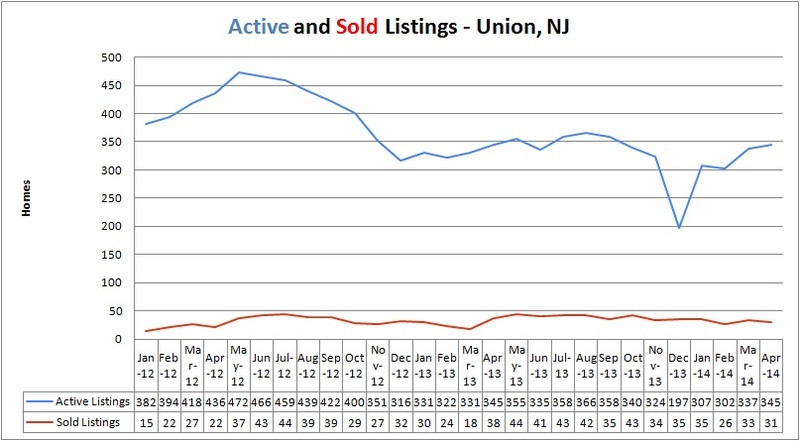 The average Union County home sold in 76 days in 2013, but the average home in Union Township sold after 109 days. While this is still an improvement over the 2012 average of 116 days, December 2013 was sluggish at 141 days. Housing Inventory in Springfield : There are 47 single family homes offered for sale in Springfield, ranging in price from $124,900 to $1,195,000. 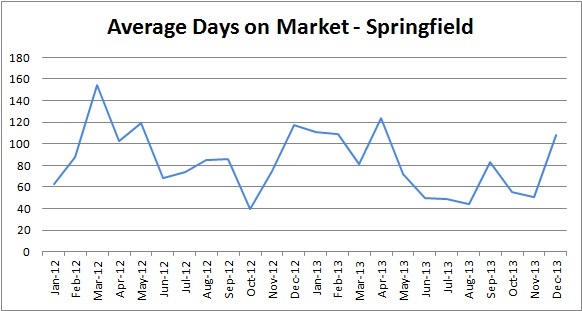 There were 13 homes sold in Springfield in December which is about average for the year. The inventory is much lower than typical – the average inventory in Springfield is 93 homes offered for sale at any given time in 2013. Home Prices in Springfield: The average sale price in Springfield in December was $379,562 and the average sale price in 2013 was $354,464. Overall, prices in Springfield are stronger now than they’ve been for several years. Springfield home values sit roughly at the middle of the pack for home values in Union County. 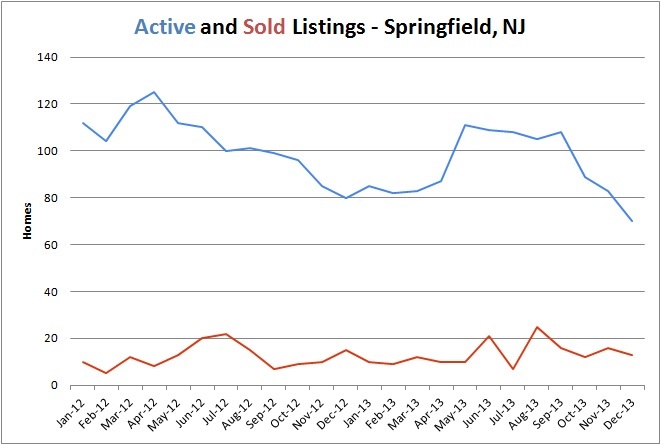 How quickly do homes sell in Springfield? The average Union County home sold after 76 days in 2013 and after 89 days in Springfield. Homes that sold in December were sold after 108 days, higher than the township has seen since last winter. Homes are selling quickly in Scotch Plains! Inventory: There are 63 homes offered for sale in Scotch Plains, ranging in price from $199,999 to $799,000. Inventory is a little low – on average, 138 homes are on sale at any given time in Scotch Plains. Twenty two homes were sold in December. Pricing: The average sale price of a home in Scotch Plains in December was $449,445, slightly lower than the 2013 average of $491,445 and lower than the average of $517,814 in December of 2012. Scotch Plains remains one of the highest market values of Union County. 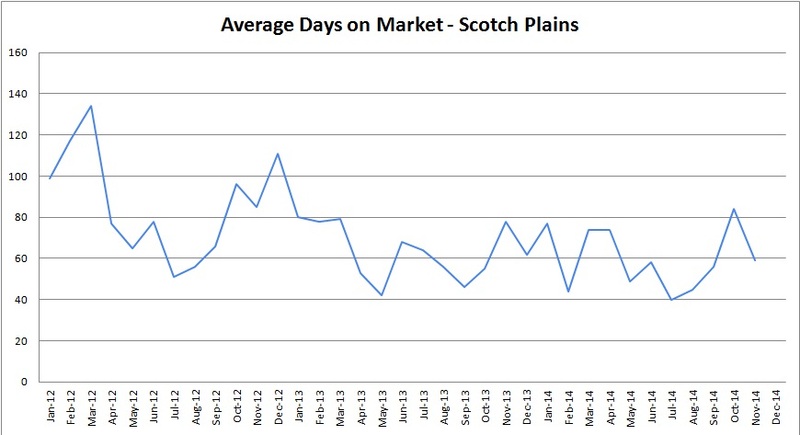 How long does it take to sell a home: Scotch Plains homes sell faster than most Union County homes – in December, the average Scotch Plains sold home had been on the market for 53 days and the average for 2013 was 63 days. The county average was 76 days in 2013. The Borough of Mountainside in Union County was ranked number 44 on NJ Monthly’s Best Places to Live, and almost 7000 people live there. Public school students in Mountainside attend Beechwood School, Deerfield School, and Governor Livingston High School in Berkeley Heights which was built on the site of a former Nike Missile base. How’s the inventory in Mountainside? There are 15 single family homes currently offered for sale in Mountainside, ranging in price from $489,000 to $1.7 million. Inventory is lower now than it has been for two years – on average, Mountainside’s inventory in 2013 was 43 houses at a time. There were six homes sold in Mountainside in December. How are home prices in Mountainside? The average sale price of a home sold in Mountainside in December was $556,667, just slightly below the 2013 average of $571,506 and well above the 2012 average of $527,600. How long do Mountainside homes take to sell? Mountainside homes sell among the fastest in Union County with an average Days on Market of 44 days compared to the County average of 76 days. If you’re interested in purchasing a home in Mountainside or the surrounding area, please see a complete list of homes at www.WayneZuhl.com. If you’re planning to sell your Mountainside home, please call us at 908-917-4189 for a free comparative market analysis of your home.